Both dandelion and milk thistle are considered herbs for the liver. 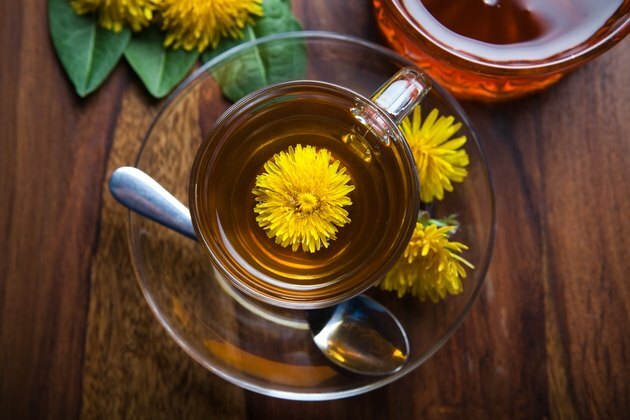 A pesky weed to some, a treasure trove of medicinal remedies for others, dandelion's use as a medicinal herb reaches far back into Chinese history. Milk thistle, also known as silymarin, is a flowering herb native to the Mediterranean region and parts of North Africa. It has been used for 2,000 years as an herbal remedy for a variety of ailments, including liver and gall bladder problems. Before using any herbal remedy, consult your doctor about whether it is appropriate for you and your health condition. Dandelion leaves are nourishing and have long been used in traditional treatments to cleanse and purify the liver. In the East, dandelion roots are dried and used in strong teas, made from boiling roots and other herbs for at least an hour. According to naturalnews.com, dandelion leaves are 15 percent protein and high in vitamins and minerals. One cup of dandelion greens contains 112 percent of your daily recommendation of vitamin A, 32 percent of vitamin C, and 535 percent of vitamin K. They also contain 218 mg potassium, 103 mg calcium and 1.7 mg of iron. The Mayo Clinic states on its website that multiple studies from Europe suggest benefits of oral milk thistle for cirrhosis. In experiments up to five years long, milk thistle has improved liver function and decreased the number of deaths that occur in cirrhotic patients. In addition, several studies of oral milk thistle for hepatitis caused by viruses or alcohol report improvements in liver tests. Although these results are promising, most studies have been poorly designed. Better research is necessary before a strong recommendation can be made. According to naturalnews.com, the best time to harvest dandelion leaves and roots is early spring, before the flower blooms, or late fall, once the flower has gone. Dandelion leaves can be picked, chopped and added to salads. Dandelion roots can also be roasted to make a coffee substitute. Both dandelion leaves and dandelion roots are good for making tea. Boil one tablespoon root per two cups water. The longer it boils, the stronger the tea will be. Today, it is primarily the seeds of milk thistle that are used medicinally in tea form. Crush one tablespoon of milk thistle seeds in a mortar and add to 3 cups of boiling water. Steep for about 20 minutes and strain. Some herbalists suggest drinking one cup 30 minutes before meals in the morning, afternoon and evening, as well as just before going to bed, then reducing your intake to three cups a day after three days.